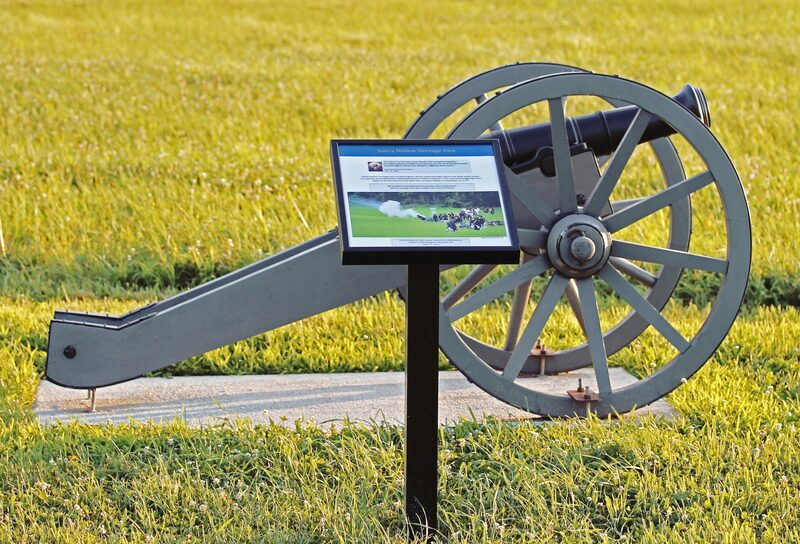 The Battle of Brandywine took place on September 11, 1777 and spanned between the Sandy Hollow and Birmingham Hill Battlefields. The sites, which are considered hallowed ground, are visited daily by local residents who use recreational trails that run through the land. 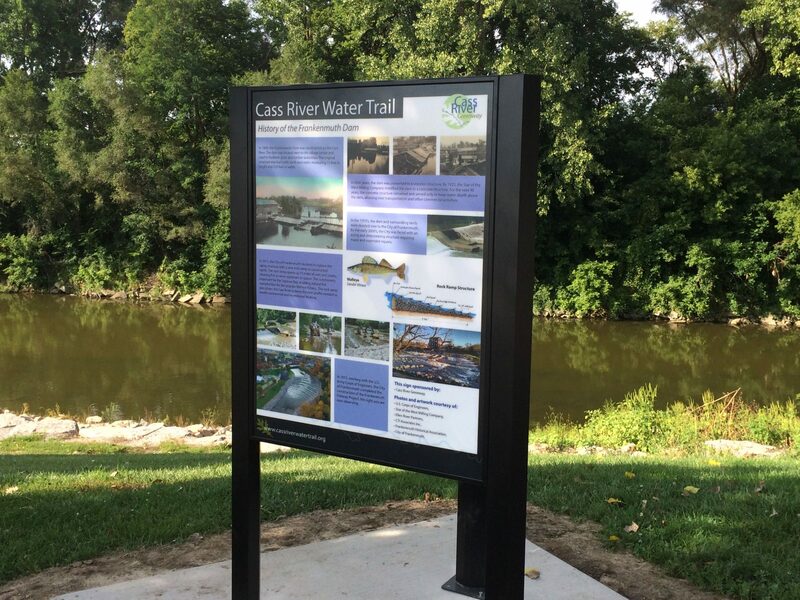 To better educate the community about the ground’s significant history, Birmingham Township designed a series of waysides including Traditional T and Single Pedestal style exhibits that are used to display Fiberglass Embedded (FE) panels. 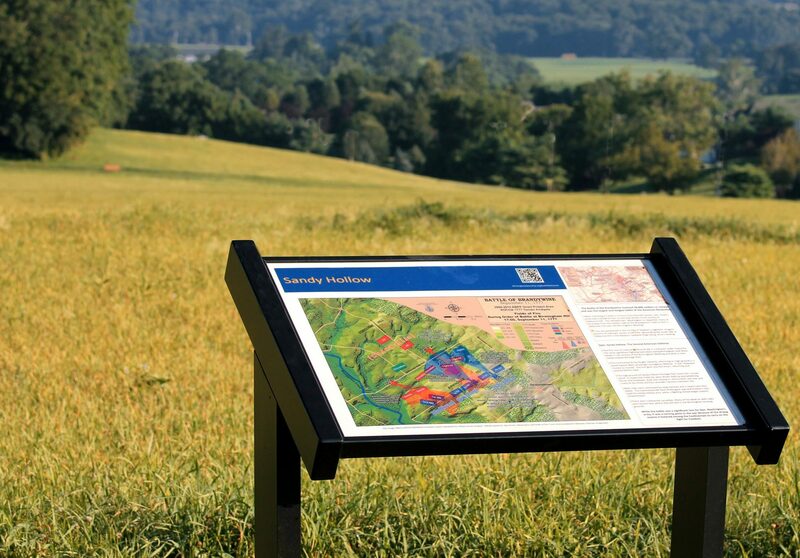 The graphic panels depict a variety of information on the battles including maps from 1777 compared to today so residents are able to make a connection between where the battles were held and their own property. 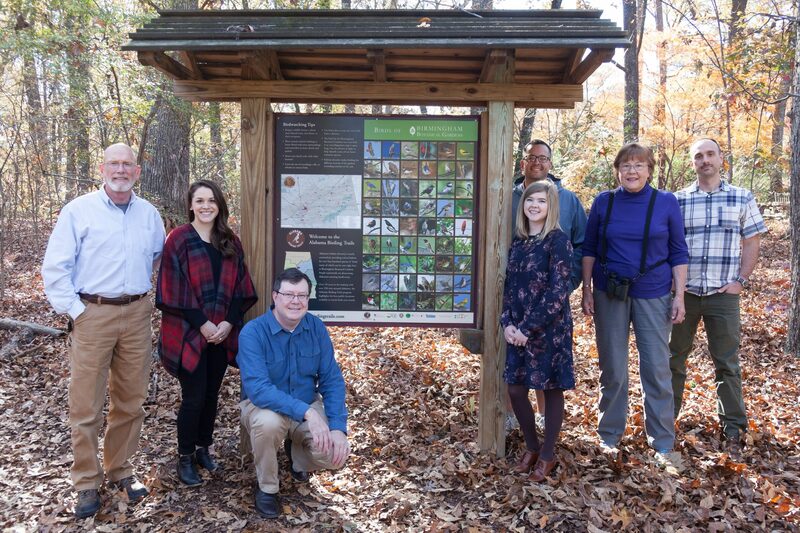 Gaining knowledge of the historical significance of their hometown has created a great sense of community pride in Birmingham Township. In 2017, Revolutionary War reenactors visited the sites to mark the 240th anniversary of the Battle of Brandywine and nearly 12,000 people witnessed the event. The educational signs were a huge contributor to the outstanding attendance. Without the presence of the markers, the township believes that a majority of the residents would not know the true nature of the grounds.